Ferruginous Hawks are declining throughout their range in both Canada and the United States. Research suggests conversion of native habitat to agricultural lands is responsible for some of this decline but in recent years, the rate of habitat conversion has slowed. Although the loss of additional habitat through conversion may now be less of a concern, an increase in industrial development now poses a threat for Ferruginous Hawks. 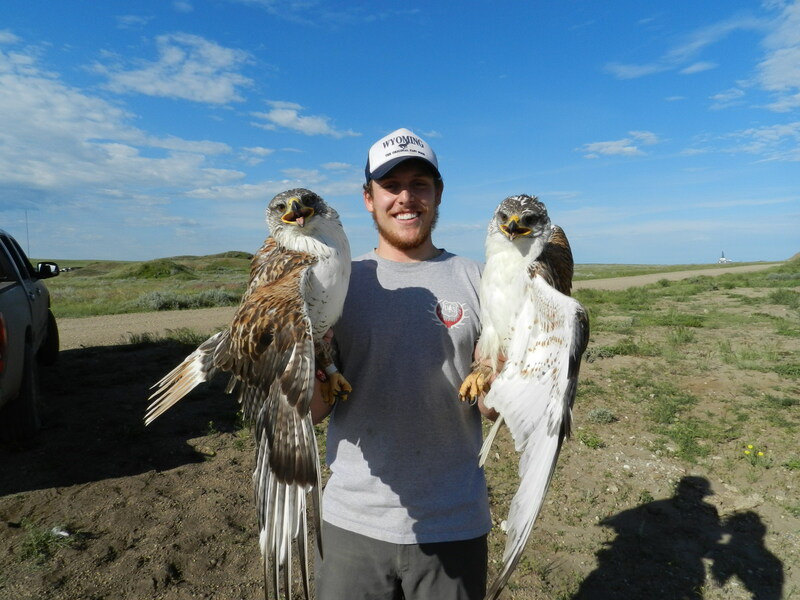 My primary focus is to determine how breeding Ferruginous Hawks are impacted by industrial development by analyzing movement patterns using satellite telemetry. My research considers hawks nesting along a gradient of low-high industrial development and low-high native prairie within their breeding range. In addition to gaining knowledge about how hawks move in altered landscapes within the breeding range, I’m interested in migratory movements and winter range use in the Southern USA and Mexico. 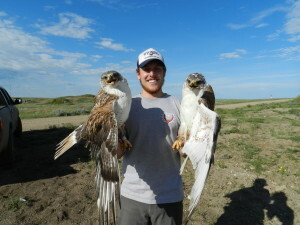 My hope is that my research will help guide conservation efforts for the Ferruginous Hawk throughout Canada and the USA by providing new information regarding how this species uses human impacted landscapes. I was doing a raptor survey in Idaho and saw a Ferruginous Hawk with an antenna. Do you know anything about this?